This is a new recipe that I must share with you because they are so tasty!!! 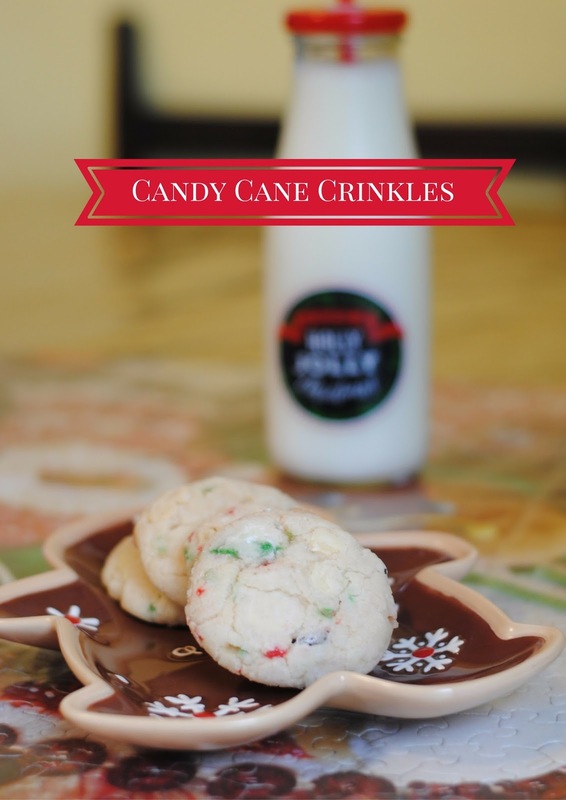 A wonderful friend sent me the recipe and they are just prefect for this holiday season. Start out by crushing up those candy canes. In a mixer beat butter and sugar until fluffy. Add in vanilla and egg. Combine all dry ingredients together and add to the mixture. Fold in your chocolate chips and candy canes. Using 1 Tbsp scoop out dough balls. Roll in your hands then in the powdered sugar. Place onto cookie sheet (lined with parchment paper) and squish with the bottom of a cup. Bake cookies at 350 for 12 minutes. * If using 1 Tbsp for each cookie this batch will make 2 dozen cookies. Absolutely delish! I made 4 dozen tonight for a cookie swap and had one to sample. So yummy! !